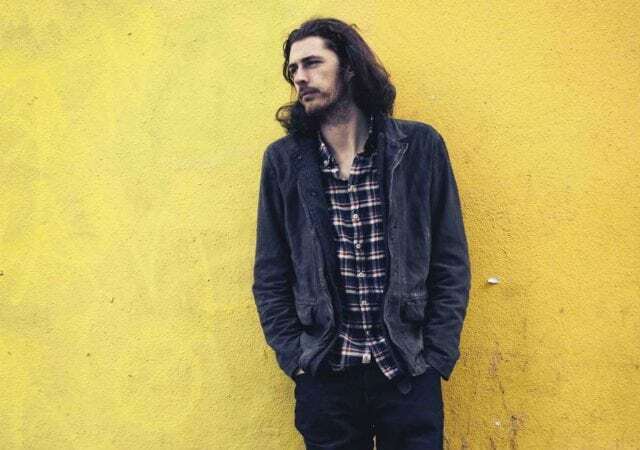 Hozier is an Irish platinum album selling singer and songwriter; he is best known for songs like “Take Me to Church”, “Cherry Wine”, “From Eden”, and “Someone New”. Also, the entertainer is known for his very luxurious trademark hair which has made him the envy of every good music loving girl. The 2015 VH1 Artist of the Year has gone ahead to become a household name as his songs have earned him a cult following. Read on to learn more about the things one ought to know about this bloke. Hozier was born Andrew Hozier-Byrne to Raine Hozier-Byrne and John Bryne on the 17th of March 1990 in Bray, County Wicklow, Ireland. His mother is an artist and the brain behind his intriguing album covers while his father was a former musician – the source of his son’s inspiration to take up the art form at a very young age. Despite his inclination to become a musician, Hozier’s parents made sure he completed his basic education. He attended Delgany National School and then St. Gerard’s School. He even went a step further to enroll at Trinity College, Dublin to study music. But then, he dropped out halfway through his first year to fully focus on music. He was, however, a member of the Trinity Orchestra during his time in the school. Hozier immediately began recording demos after leaving school. He also joined the famous Anuna choral ensemble in 2009 which he sang and went on international tours with. In 2012, in the group’s album Illumination, Hozier appeared on a solo song titled “La Chanson de Mardi Gras”. He later left the group to release his own body of work, an Extended Play album called Take Me to Church in 2013 under the Rubyworks record label. The album title track was a hit, peaking at the number 2 spot on music charts in the United States, United Kingdom, New Zealand, Netherlands, Ireland, and Australia. It also sold millions of copies in the countries, earning Hozier the admiration of numerous music lovers across the globe. Hozier has since his first EP, released two more EPs and a self-titled album. Following the album’s release in 2014, which also featured the hit track Take Me to Church, the song was nominated for the Song of the Year award in 2015 at that year’s Grammy ceremony. Hozier is not gay, however, he aligns himself with the struggles of gay people and tries to use his voice to bring attention to issues that matter to the entire LGBTQ community. He says he speaks out against homophobia because it is a human right issue and not just a civil issue. In his self-titled 2014 album, on the song Take Me To Church, the musician addresses homophobia issues from organizations like the church. He explained that the song is about being human and loving people regardless of what their sexual preferences are. The song’s video raised more eyebrows as it depicted the violence and organized attacks carried out on gay people without action from law enforcement. Two men who were pictured kissing at the beginning of the video were at the end of it beaten up. Following the release of the video, rumors began to swirl that Hozier used it as a signal to the world that he was coming out which he debunked. He went on to reveal that it was inspired by his break-up with an ex-girlfriend and his love for the singer and activist, Nina Simone. 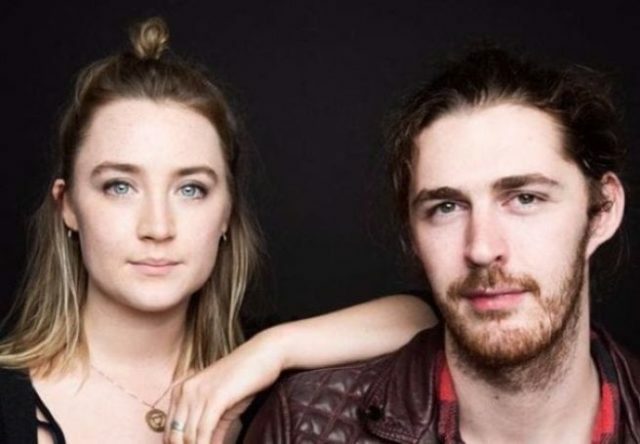 Hozier is reportedly dating Golden Globe award-winning Irish-American actress, Saoirse Ronan who is best known for appearing in movies like Atonement (2007) and Lady Bird (2017). The pair reportedly grew close with each other while working on the video to the song Cherry Wine which seeks to address domestic abuse and raise awareness to the issue while also raising money for charities fighting it. They are said to be keeping things between them private and away from the press in order to not bring unnecessary attention to themselves. The two have however been pictured out and about on a few dates, giving Irish people the hopes of having their very own celebrity couple.